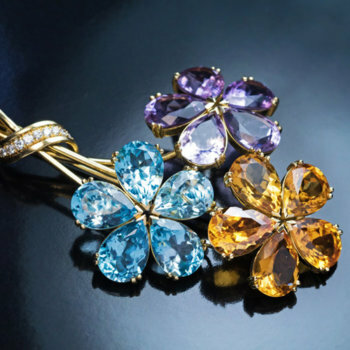 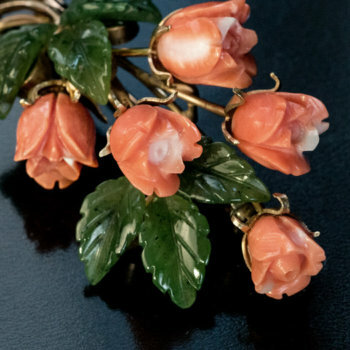 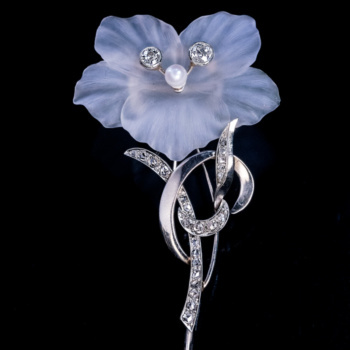 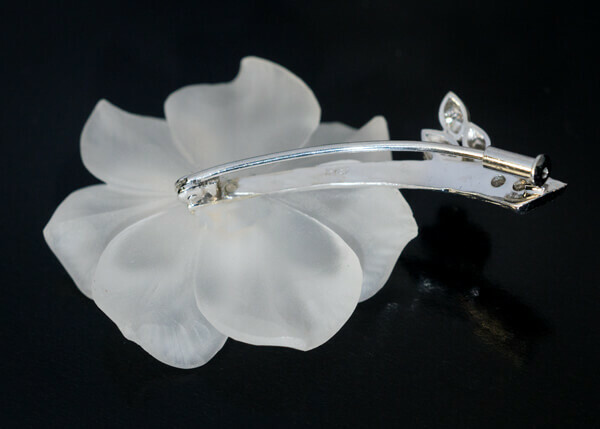 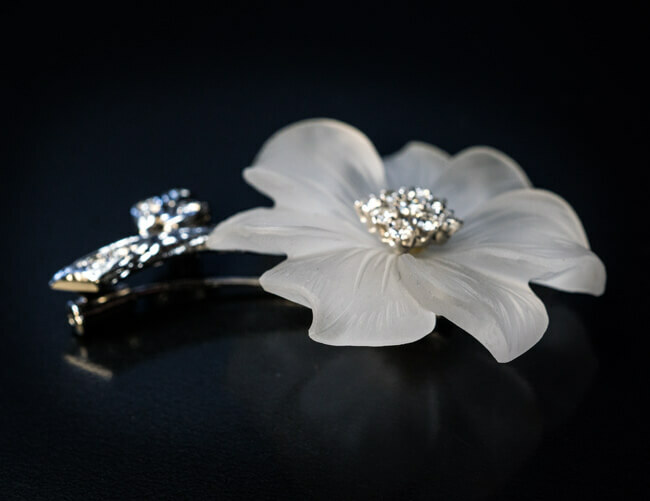 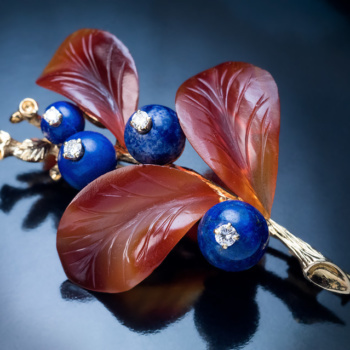 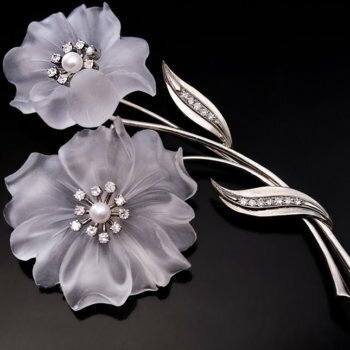 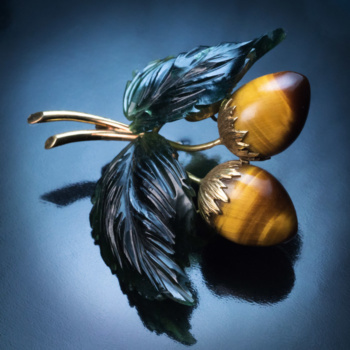 A superbly hand carved rock crystal flower brooch is mounted in 14K white gold and embellished with diamonds. 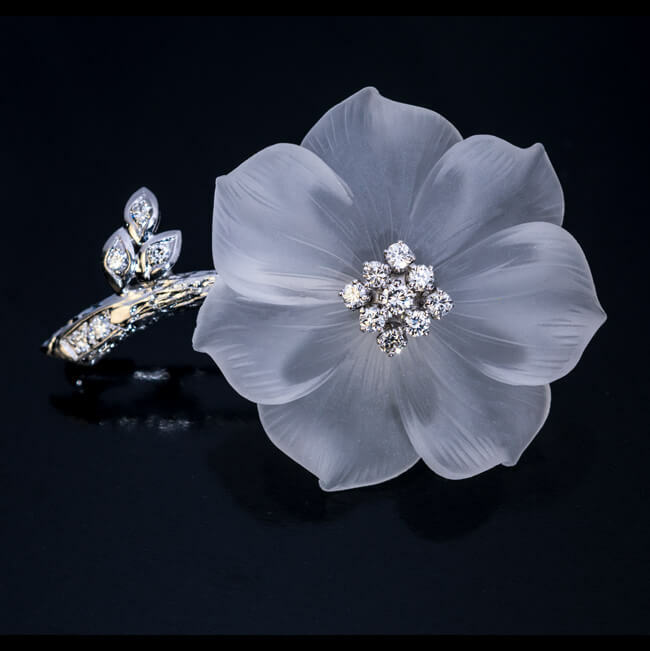 Estimated total diamond weight is 0.40 ct. 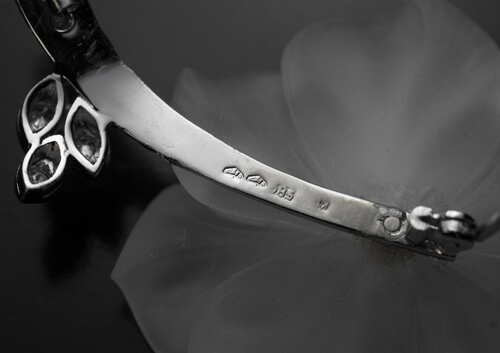 Marked with Austrian horse head assay mark for Graz, 585 gold standard, and maker’s mark.